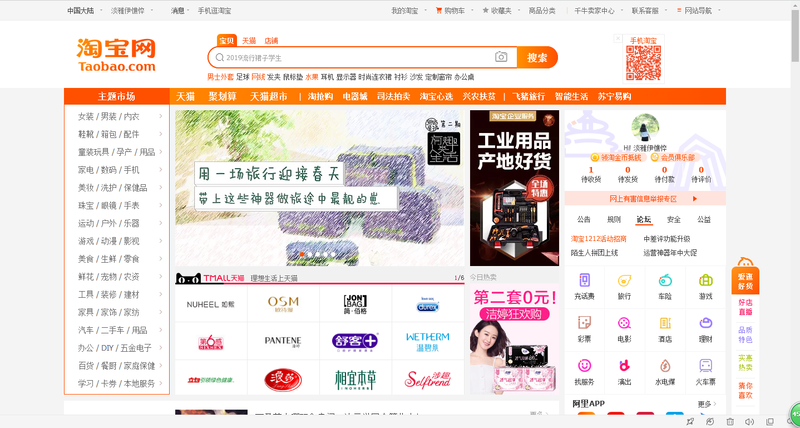 A Brief Introduction of China's Most Popular Online Shopping Platforms. 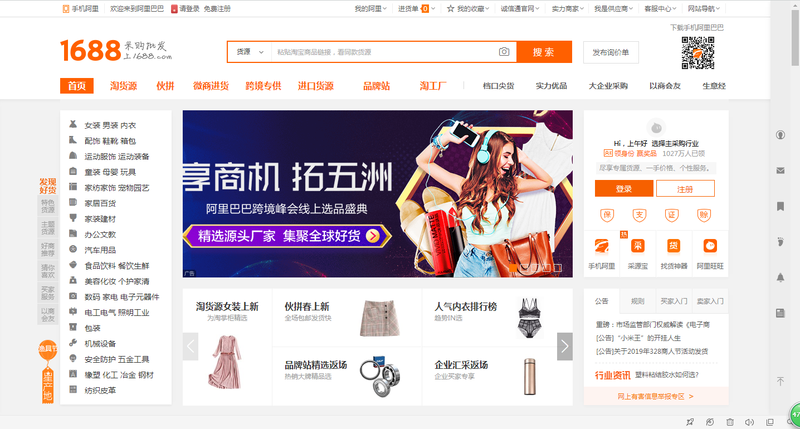 Do you know Taobao, Tmall and other Chinese online shopping platforms? How do you usually buy? Recent years, more and more people come to China for travel, work, study or even settlement. Most of them seem to be attracted by the "mysterious oriental power" at the very beginning. Everyone knows that China, as the first or second largest economic power in the world, has not only made great plans for its development, but also established perfect infrastructure, especially the e-Commerce system and mobile payments, which have won countless great admiration from foreign friends. Now let's take a look at China's e-commerce platforms. 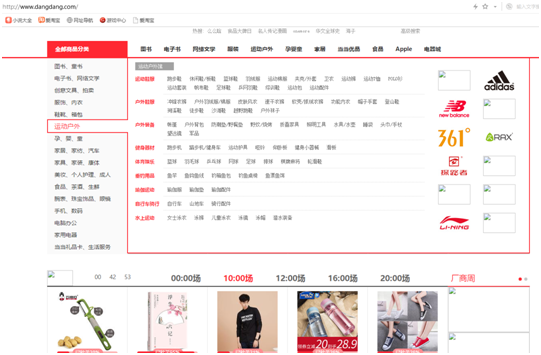 Taobao is a large online retail and business district in the Asia-Pacific region. It was founded by Alibaba Group in May 2003. It has become one of the largest e-commerce trading platforms all over the world. You can find almost anything you want here. 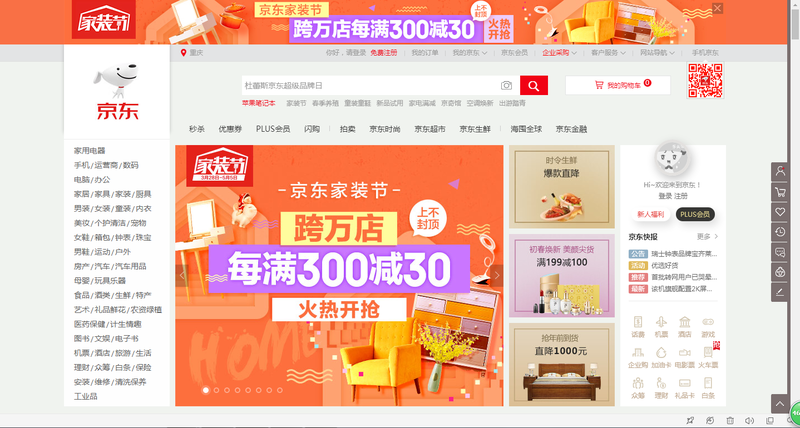 JD.com is a self-operated B2C shopping website in China. Founder Liu Qiangdong is the CEO of Jingdong Group. Jingdong's logistics is quite developed and rapid. It basically arrives on the same day or arrives every other day, without waiting for a long time, which greatly satisfies the psychological needs of consumers. 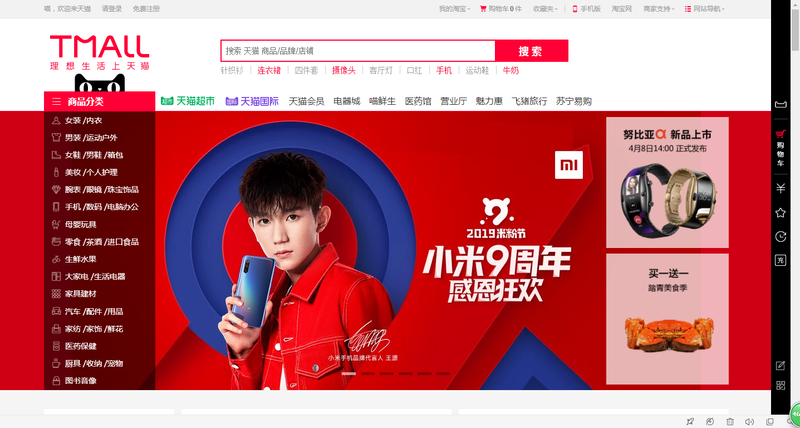 Tmall belongs to the B2C model, integrating thousands of brands and manufacturers, providing one-stop solutions between merchants and consumers, 7 days of unrequited after-sales service, and shopping rewards. 1688 is now the flagship business of Ali Group and is China's leading small-scale domestic trade e-commerce platform. 1688 takes the wholesale and procurement business as the core, through professional operation, perfects the customer experience, and comprehensively optimizes the business model of enterprise e-commerce. Dangdang is a well-known comprehensive online shopping mall. 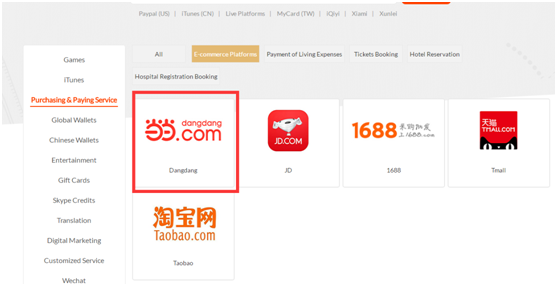 Dangdang has expanded from early online selling to online sales of various categories of department stores, including books, audio, beauty, home, mother and child, clothing and 3C digital and other dozens of categories, millions of goods. The cash on delivery (COD) covers 2,700 districts and counties across the country. These are China's famous E-commerce platforms, you can make purchases based on what you need exactly. Maybe in the process of shopping, you will encounter various problems. 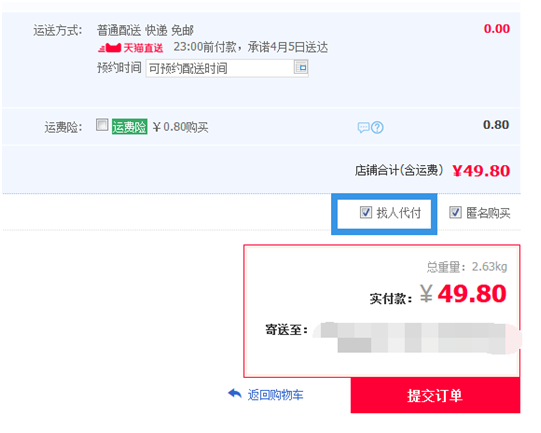 For example, language problem, you cannot understand the website as it is in Chinese version, how to register, how to pay, whether it will reveal personal privacy and so on. And also, it only accept Chinese payment methods. If you do not have a Chinese bank account, it would be hard to pay. Don't worry, vpayfast can help with all these problems. 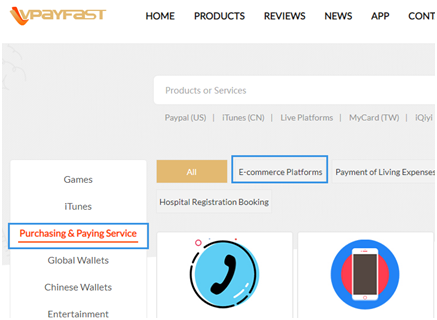 You simply need to place an order on vpayfast, then we will help you complete your purchase. 3. Select the platform that you need us to pay, enter the paying amount and product link. 4. Choose Visa or Mastercard or other local payment methods to finish your payment. 5. 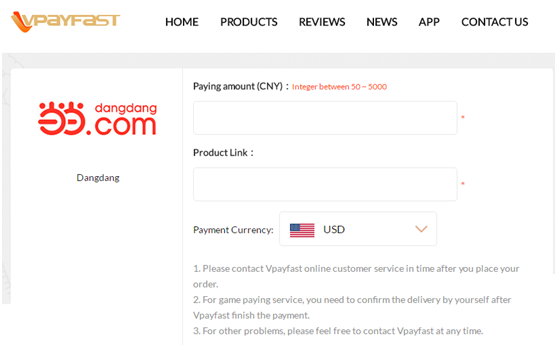 Vpayfast finish the payment for you. D. Enter our Alipay account and click "请他付款" (please contact us for our Alipay account). E. Send the request and we will pay for you. On some platforms you can get a QR code, you can send it to us via wechat or live-chat room. We can help to scan and pay for you. If you can not read Chinese, we will login to your account to finish the payment for you. Simply start your online shopping journey now! For any other problem, please feel free to contact our online customer service. Next : How to Top Up Mobile Phone Using WeChat Wallet?